The El Paso Children’s Hospital Board is self-perpetuating. Terms are staggered and limited in duration. To contact any Board member, please call the El Paso Children’s Hospital Board Secretary at 915-242-8614. 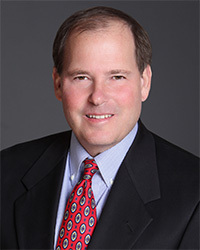 Pat Gordon is an attorney and shareholder at Gordon Davis Johnson & Shane P.C. in El Paso, Texas, where he specializes in various areas of business law, including domestic and international tax law, mergers and acquisitions, corporate law, and international transactions (particularly transactions involving Mexico). Mr. Gordon received his B.B.A. in finance from Texas A&M University and his M.B.A. and J.D. from Texas Tech University. He is licensed to practice law by the State of Texas and is board certified in tax law by the Texas Board of Legal Specialization. He is also a certified public accountant and licensed real estate broker in Texas. Mr. Gordon serves as the Commissioner on the Rio Grande Compact Commission for the State of Texas. He was a governing board member for the Texas Department of Housing and Community Affairs. Mr. Gordon is the author or co-author of several law-related publications, and has been author/speaker for organizations including the State Bar of Texas Advanced Tax Law and International Law Sections, the World Trade Institute, the Council for International Tax Education, the National Business Institute, New York University, Global Education Services, the Alliance for Tax, Legal and Accounting Seminars, the Texas/Mexico Bar Association, the World Trade Center El Paso/Juarez, and the Universidad Autonoma de Ciudad Juarez. Mr. Gordon has been listed for over 10 years in The Best Lawyers in America under Corporate and Tax Law. He has been listed as one of the top corporate and tax lawyers by Best Lawyers and Texas’s Best Lawyers and a Super Lawyer in tax law by Texas Monthly. Ms. Lyons Fields is a certified public accountant and tax partner with Lauterbach, Borschow & Company, PC, El Paso’s largest local public accounting firm. 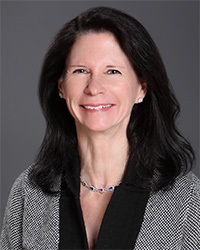 She spent a number of years working for a national accounting firm as a tax manager and owned her own firm prior to joining Lauterbach, Borschow & Company as a shareholder in 1997. She is an alumni of Austin High School and attended The University of Texas at El Paso, where she received a BBA in 1980. Cindy has been active in many civic and charitable organizations throughout her career, including the Paso del Norte Health Foundation where she served as Board of Directors Chair and Investment Committee Chair, American Heart Association (Planned Giving committee chair), El Paso Lighthouse for the Blind (treasurer), Family Services of El Paso, LIMBS International (treasurer), Junior League of El Paso, the UTEP Centennial Commission, and the Texas Financial Education Endowment. She was also appointed by Texas Governor Rick Perry to serve two six-year terms on the Finance Commission of Texas, which is the state entity that oversees banks, savings institutions, consumer credit grantors, and other regulated entities chartered or licensed under Texas law. She served as audit committee chair for the Commission. Cindy is a graduate of the 25th class of Leadership El Paso. Cindy is married to Guy N. Fields, III, and has three children, two grandchildren, and two step-children. Mica Short is the community relations manager at Texas Gas Service, where she represents the company on several nonprofit governing boards and community initiatives. Short has secured funding for a broad range of civic groups, including the El Paso Child Guidance Center, the Center Against Sexual and Family Violence, El Pasoans Fighting Hunger and the EPISD Education Foundation. 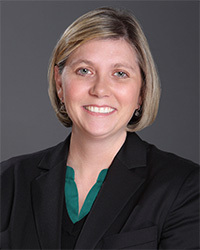 Prior to joining Texas Gas Service, Ms. Short served as Executive Vice President at the Greater El Paso Chamber of Commerce, where she oversaw the Chamber’s advocacy efforts at the local, state and federal levels in the areas of healthcare, transportation, infrastructure and development, and border issues, and served as the Chamber’s chief lobbyist. There, she worked with her staff and government relations volunteers to develop the Chamber’s legislative agendas and the Chamber’s positions on key legislative issues. Ms. Short is a native El Pasoan and a graduate of Loretto Academy. 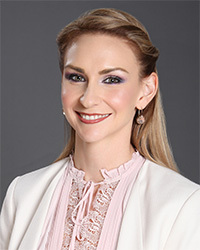 She holds a Bachelor’s Degree in Political Science and a Master’s Degree in Public Administration, both from the University of Texas at El Paso. She was named Outstanding Academic Graduate Student by the Institute for Policy and Economic Development when she received her Master’s in 2004 and is a member of Pi Alpha Alpha, the National Honor Society for Public Affairs and Administration. Ms. Short is a graduate of Leadership El Paso – Class 28 and participates in a variety of civic organizations. Ms. Short is a graduate of the U.S. Chamber of Commerce’s Institute for Organization Management. In 2009, she completed a Fellowship on Regionalism and Sustainable Development arranged by the American Chamber of Commerce Executives in partnership with the Ford Foundation, and in 2013, she received a Certificate in Leader Development at the U.S. Army War College’ National Security Seminar. Ted Houghton, as he prefers to be called, is a fourth generation El Pasoan. Mr. Houghton is the founder of Houghton Financial Partners LLC, a leading provider of wealth transfer, executive benefits, and retirement planning services to successful individuals and companies. Mr. Houghton is known as a being strong advocate for El Paso. 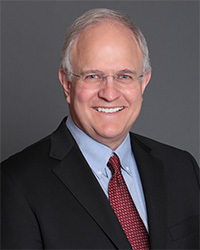 He has served as the Chair and Presiding Officer for the Texas Transportation Commission, Commissioner for the Texas Transportation Commission, Trustee to the Texas General Land Office/School Land Board, Board of Directors for the El Paso Electric Company, Chairman of the Selection Committee for the Chief of Police for the City of El Paso, Selection Committee Member for U.S. Magistrate, Board of Director for the Diocese Finance Committee, Board of Director for Catholic Properties of El Paso, Vice Chairman of the El Paso Water Utilities/Public Service Board, Chairman Cathedral High School Building Association, Board of Director for Cathedral High School, President of Sun Bowl Association, Treasurer of the El Paso Rapid Transit Political Action Committee, Vice President of the Rapid Transit Board, Member of the 1984 Olympic Organizing Committee in Los Angeles, Chairman of the Finance & Taxation Committee of City Charter Commission, and as Vice Chairman of the El Paso Civic Center Board. 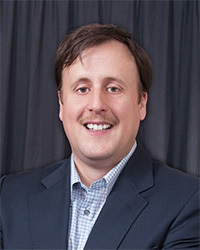 Houghton earned a bachelor’s degree from the University of Texas at El Paso and is a graduate of Coronado High School. Mr. Houghton resides in El Paso with his wife and has five children. Amy Ross is an Information Technology Consultant and has worked as an Information Technology Project Manager and IT subject matter expert for over ten years. Ross holds a Master’s in Business Administration degree from the University of Texas at Arlington and Bachelor’s of Science in Microbiology with a Chemistry/Spanish double minor degree from Brigham Young University. Ross is a certified Six Sigma Green Belt, a Project Manager Professional (PMP®), and certified in Warehousing and Logistics for BaaN. Mrs. Ross is active in her community, church, and is a proud mom of Cub Scout-Troop 168. Ross serves as a Board Member for the Texas Perinatal Association and as a Member of the Civil Service Commission for the City of El Paso, Texas. Miguel Fernandez is a native El Pasoan, who grew up in the Paso del Norte Region. In 2001, he co-founded Transtelco, a bi-national telecommunications carrier. The company is one of a small number of service providers that cover both the U.S. and Mexico, providing voice and data services to Fortune 1000 companies and Telecom Carriers over a fiber optic network that spans 10,000KM between both countries. Mr. Fernandez oversees the execution and implementation of the strategic goals and objectives of the organization, including overall budgets and mergers and acquisitions. In 2006, Miguel Fernandez co-founded a real estate company in El Paso, focusing on developing downtown projects; in this scope the company is focused on commercial and hospitality developments. Mr. Fernandez has an extensive background in serving the region through various leadership positions. In 2011, Mr. Fernandez began serving on the Medical Center of the Americas Board of Directors, an organization dedicated to the advancement and development of the MCA campus and the Paso del Norte Region’s biomedical initiatives. He also previously served on the City of El Paso Planning Commission. Mr. Fernandez earned a Bachelor’s degree in Business Administration with a concentration in finance from the University of Texas at El Paso in 1998. Richard Fleager is a native El Pasoan and retiree from the energy and utility industries. Mr. Fleager served as the Senior Vice President of the El Paso Electric Company, Vice President of the Texas Gas Service Company and Vice President of El Paso Natural Gas Company. Mr. Fleager has more than 35 years of executive business management, customer service and information systems experience. Mr. Fleager is a Certified Public Accountant and a member of the Texas Society of CPA’s, and the American Institute of CPA’s. Mr. Fleager holds a Master’s of Business Administration and Bachelor’ s of Business Administration degrees from the University of Texas at El Paso. Mr. Fleager is a strong advocate for the El Paso Community. 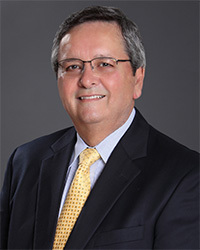 He has served as Chairman of the Greater El Paso Chamber of Commerce, Advisory Board member of HCA Hospitals, Director Emeritus of Project Arriba, Board Member of the United Bank, Chairman of the United Way of El Paso, Member of UTEP’s Development Board and School of Business Advisory Council, Board Member for the YMCA, YWCA Foundation, Boys and Girls Club Foundation, St. Raphael School and Cathedral High School. He is currently a Board Member for the Greater El Paso Chamber of Commerce Foundation and a Member of the Irvin High School Advisory Board for STEM. Dr. Stuart Kahn is a pediatrician in private practice with El Paso Pediatric Associates. He has been serving the El Paso region as a pediatrician for over 45 years. He was a pediatrician at the USAF Medical Center Scott A.F.B. from 1969 to 1971 and also served as a Major with USAF Medical Corps prior to serving the El Paso community. Dr. Kahn is certified by the American Board of Pediatrics in Pediatrics. Dr. Kahn has been a member of the American Association of Pediatrics, the Texas Medical Association, the El Paso County Medical Society, and the Texas Pediatric Society. He has also served as Medical Staff Member of Hotel Dieu, Southwest General Hospital, Hospitals of Providence, Las Palmas Del Sol Medical Center, and Baptist Clinic. Dr. Kahn has served as a Board Member of the El Paso Symphony, Board Member of the Child Crisis Center, President of the El Paso Country Club, Board Member of the El Paso Country Club, and is active with Temple Mt. Sinai. He earned a bachelor’s degree in biology from the University of Texas at El Paso and completed medical school at the University of Texas Southwestern in Dallas. He completed his pediatric residency at Duke Hospital and then Children’s Medical Center in Dallas, Texas. Mr. Abbott is Chairman of Sunland Optical Company, Inc. and President of Lynwood Garden Investments, Inc. in El Paso, Texas. He is a Special General Partner in the Cottonwood Technology Fund (CTF). He is an active investor in early stage high tech companies through the CTF venture capital fund and individually. He currently serves on the board of the Regional Center for Innovation and Commercialization (RCIC), the Investment Committee for the Paso del Norte Health Foundation and is a member of the Paso del Norte Group. Mr. Abbott spent seventeen years in public accounting culminating with the sale of his own firm. He was a major shareholder and director of Valley Bank and Montwood National Bank where he served on the executive board and the investment and loan committees. In public accounting and banking, he worked extensively with small and start-up businesses. After selling Montwood National Bank to State National Bank, he served another seven years on the community board of the acquirer. He has started and operated a land development and a property management business. He served as a community development volunteer in Cerro Chato, Uruguay with the United States Peace Corps where he helped start an agricultural school for rural youth. Mr. Abbott was a founding director and Screening Committee Chairman for the Camino Real Angel Network. He was appointed by the Governor of Texas as a founding Director of the Emerging Technology Fund. 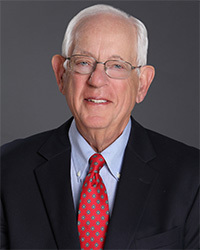 He served as a Trustee of Pacific University where he served on the Finance and Investment Committees. 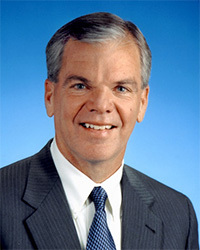 He served as Chairman and advisory board member of the regional and local Small Business Administration. He has served on numerous other commercial and charitable boards. Mr. Abbott is a graduate of Stanford University and studied at the Florence, Italy campus, has an MBA from the University of Texas at El Paso, is a Certified Public Accountant and speaks Spanish.